Success! 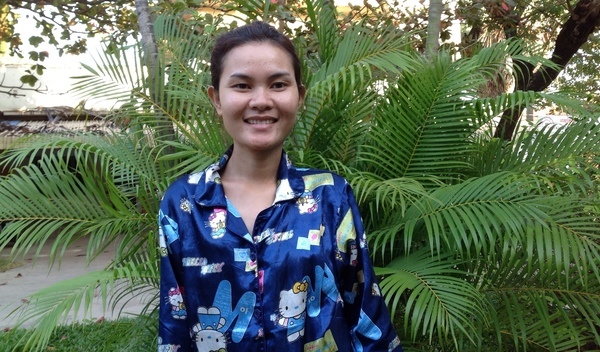 Chetra from Cambodia raised $450 to fund back surgery. Chetra's treatment was fully funded on April 26, 2017. Chetra underwent successful back surgery. Chetra’s treatment went well. Surgeons at CSC fixated titanium screws and a rod to correct her curved spine. Following her procedure, she had one week of physiotherapy at CSC before going home. Her wound has healed, and she does not experience pain. Chetra feels more comfortable than before. 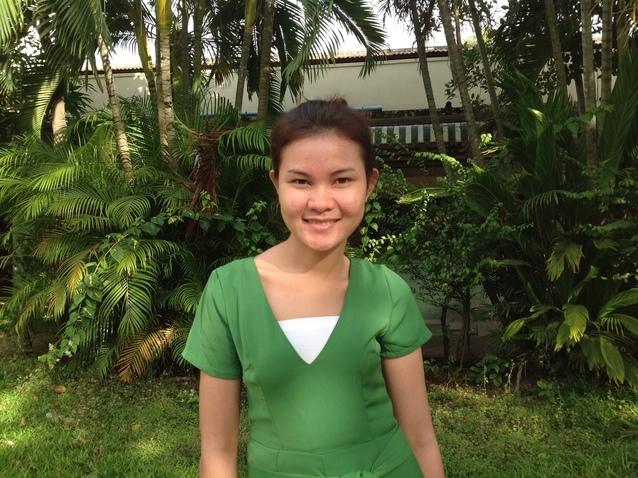 Chetra is a bright 24-year-old bank teller from Cambodia. She is one of six siblings. She likes to read magazines and listen to pop songs in her free time. At a young age, Chetra’s spine began to curve. She was diagnosed with a condition called scoliosis. Scoliosis is a lateral curvature of the spine that causes it to bow out to the side instead of taking a natural vertical shape. The curvature has limited her ability to bend and has continued to cause pain well into her adult years. If left untreated, her spine may continue to to bend and even twist. This misalignment could cause pain in her back and pressure on her ribs. At her most recent hospital visit, Chetra’s physicians recommended a joint arthrodesis procedure to correct her scoliosis. Surgeons will attach hardware to the curved part of Chetra’s backbone to promote straightening and stabilizing of her spine. Our medical partner, Children’s Surgical Centre, is requesting $450 to fund Chetra’s back surgery, scheduled for January 18. Chetra’s back surgery will help alleviate the pain she is experiencing and greatly improve her quality life. Chetra's case was submitted by Lindsay Bownik at Children's Surgical Centre in Cambodia. Chetra was submitted by Lindsay Bownik, Stakeholder Relations Officer at Children's Surgical Centre, our medical partner in Cambodia. 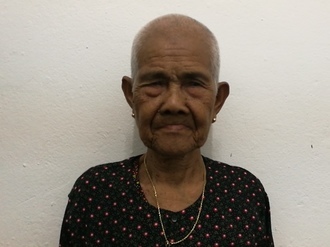 Chetra received treatment at Kien Khleang National Rehabilitation Centre. Medical partners often provide care to patients accepted by Watsi before those patients are fully funded, operating under the guarantee that the cost of care will be paid for by donors. Chetra's profile was published to start raising funds. Chetra's treatment was successful. Read the update. Chetra's treatment was fully funded. Arthrodesis is the abolition and fusion of a joint via surgical means. For example, the knee joint is obliterated to join the femur to the tibia. This is done to relieve intractable pain that cannot be managed by pain medication, splints, or other treatments. The typical causes of such pain are fractures, severe sprains, infections, and arthritis. Arthrodesis is most commonly performed on joints in the spine, hand, ankle, and foot. This procedure can also be performed on the shoulder, knee, or wrist. Any painful joint can impair normal function. Moving the legs, arms, or spine may be acutely painful and disabling. Patients in Cambodia often neglect pain and other symptoms far longer than patients in America, so their cases become more complex. There are a number of joint arthrodesis surgeries that a patient might undergo. The patient will be examined, and doctors will create a treatment plan for the affected joint. The patient will be rendered pain-free. Of course, the patient will experience limited function in this joint. Surgery performed on the limbs is not risky. However, spinal fusion procedures can entail a lot of blood loss and are inherently more risky. Joint arthrodesis is not widely available in Cambodia, as there are only a handful of doctors in the country that perform fusions. Usually, people experience months or years of pain before the joint fuses itself or they manage to find a surgeon to treat it appropriately. The alternatives to surgery are bracing or splinting, but these are temporary measures.